The earth is the rock upon which the Empire of Rokugan has stood proudly for more than one thousand years, both as a metaphor and a very real truth. They are the essence and soul of the Crab Clan, as well as the power and the determination of the Dragon. Countless families and Fortunes are of Earth, and their works within the mortal realm depend upon its strength to shape the face of destiny. 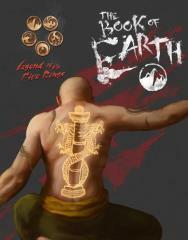 The Book of Earth is the second in a series of elemental sourcebooks that will explore the themes of each of the five elemental Rings. From the quiet, stolid fortresses that stand quietly against the force of the Empire’s enemies, to the crushing violence of a tetsubo, every aspect of the eternal essence of Earth will be examined.